My hubby is the best! If you haven't watched this, you really need to start! 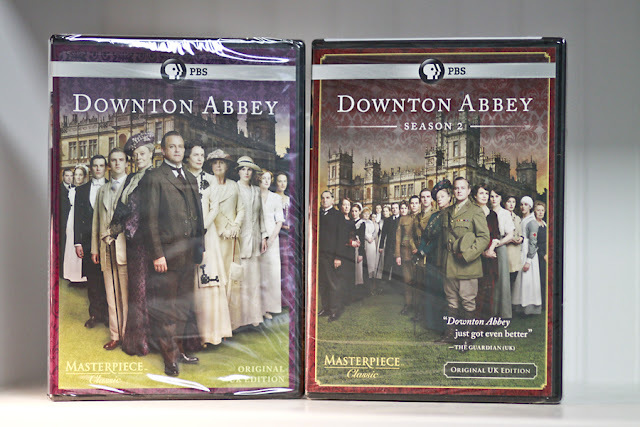 I LOVE Downton Abbey!!! I can't wait for season 3!! Have you actually watched the DVD's yet? It's my understanding that they have more scenes than what was aired in the U.S. Please tell if it's true, umkay!? Wow! What a sweet hubby. I sooo need to go back and watch the first season. There were some things I forgot. I am OBSESSED with this show--lucky you! I have GOT to start watching this show. I've heard nothing but great things about it! Now that is a good husband! Now that's what I call LOOOOOVE!!! All of us were completely wrapped up in DA. It's just SO hard to wait for the next Season. oohhhh that is a VERY good hubby! !